Apostle Edward | Apostle Edward's - THE JESUS TEST | Do you hear the words of our Lord Jesus Christ? Jesus taught us that he was a man and that his God and our God was only the Father. 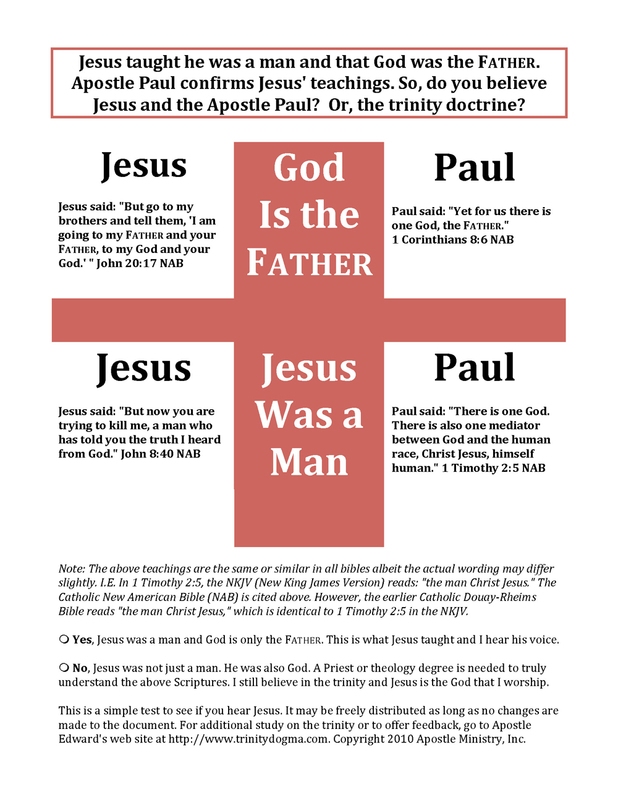 Apostle Paul confirms Jesus' teachings that Jesus was a man and that God was the Father. 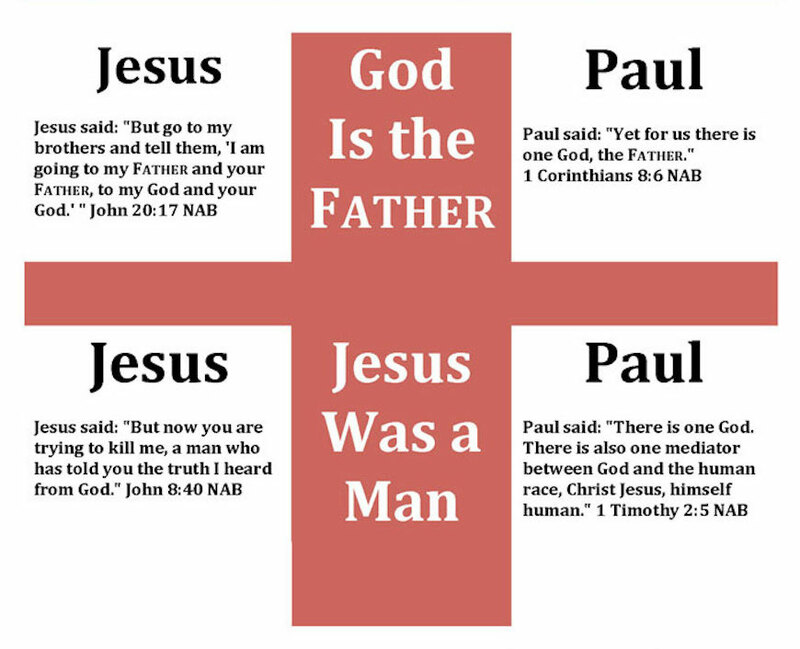 Scripture References: Jesus in John 8:40 states he was a man and in John 20:17 Jesus states the Father is God. Paul in 1 Timothy 2:5 and 1 Corinthians 8:6 confirms these teachings of Jesus. Note: The above teachings are the same or similar in all bibles albeit the actual wording may differ slightly. I.E. In 1 Timothy 2:5, the NKJV (New King James Version) reads: 'the man Christ Jesus.' The Catholic New American Bible (NAB) is cited above. However, the earlier Catholic Douay-Rheims Bible reads 'the man Christ Jesus', which is identical to 1 Timothy 2:5 in the NKJV"
Voting YES Means - You accept and believe Jesus when he states in Scripture that he was only a man that heard from God. And, you also accept his teachings in Scripture that the Father (Yahweh) was his God and is also our God. This is what Jesus has taught us in his own words and you hear the voice of Jesus. Voting NO Means - Jesus was not just a man as he states in Scripture. Jesus was also God. A Priest or theology degree is needed to truly understand the above Scriptures. I still believe in the trinity doctrine and Jesus is the God that I worship and believe in.